Byron's Memoirs were a series of memoirs by British poet and politician Lord George Gordon Byron that was written between 1818 and 1821. Though it is not truly known what was written in the memories, it is speculated that it contained exerts about his life, loves, travels, and opinions. The memoirs were never published as they were destroyed after Lord Byron's death. While it is unknown as to why the memoirs were destroyed, theories as to why the memoirs were destroyed range; either from saving Lord Byron's wife from humiliation to sabotaging Bryon. This has not stopped authors from publishing hypothetical memoirs. To this day, no fragments from the memoirs have surfaced. Lord George Gordon Byron was born in London on January 22nd, 1788. Having developed feelings for his distant cousin and half-sister at the age of 15, he began to write poems expressing various romantic feelings. This is where he began to excel in writing. By 1806, he had published his first book titled Fugitive Pieces. As Lord Byron's career began to take off, many people started to notice the romantic themes in his poetry. In 1808, he was elected to the House of the Lords. It was not uncommon for Lord Byron to find himself traveling to places like Venice where he would indulge in the arts. He would also frequent the Balkans. As Greece waged a war of independence against the Ottoman Empire, Lord Byron sided up with the Greek rebels. Before he could see combat, he died in 1824 from an infection. As Lord Byron would travel the world, he would write down his thoughts, experiences, and opinions of where he was going. 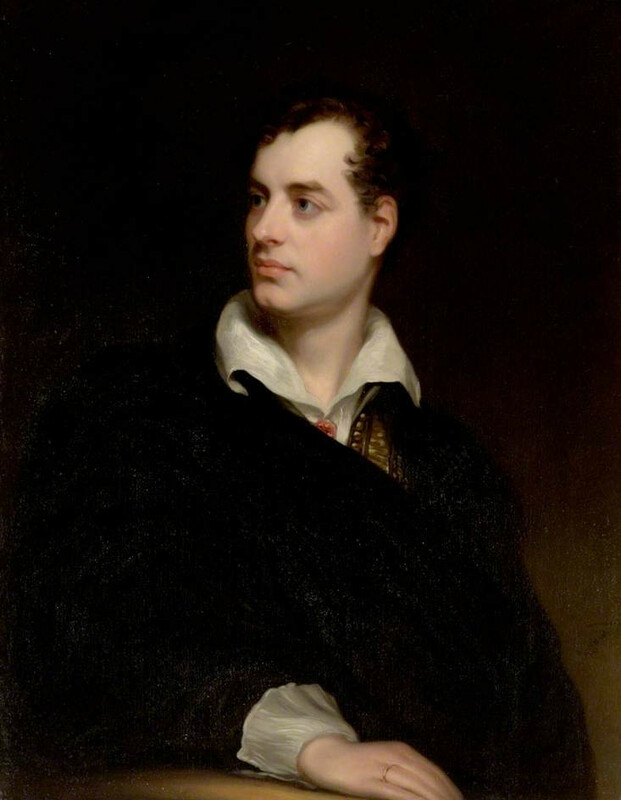 Lord Byron would frequently write to poet Thomas Moore and publisher John Murray. It is thought that the letters to the two individuals might contain excerpts of Byron's memoirs. As Lord Byron grew to trust Thomas Moore, he gave Moore the manuscripts of his memoirs. Thomas Moore had sold the manuscripts of Lord Byron's Memoirs to John Murray. Though there were plans to publish Lord Byron's Memoirs after his death, instead of publishing the manuscripts, Thomas Moore went to John Murry's office in London where they both burned Byron's manuscripts. It is unknown why the two destroyed the manuscripts, but it is possible that Lord Byron had many scandals despite being a very well respected poet and politician destroying the manuscripts would protect Lord Byron's widow from the backlash of these various scandals. Recent discoveries in the memories of Daisy Hay (the step-sister of Mary Shelley) back up the various scandals as she wrote about Lord Byron getting her pregnant and then leaving her. She also went on to describe both Thomas Moore and Lord Byron as "monsters". As Lord Byron was one to sleep around with other women, it is likely many accounts as described by Daisy Hay were in Lord Byron's memoirs. Despite having a questionable private life, Lord Byron was still very well respected among high class in British society and is still regarded as a great poet. Many have since attempted to recreate his memoirs and even make plays about him. In 1972, an opera titled Lord Byron premiered. Many of the events in the opera are fictionalized. In 1978, author Christopher Nicole compiled an imaginative recreation of Byron's memoirs titled The Secret Memoirs of Lord Byron. In 1995, author Tom Holland published a fictional take on Lord Byron called The Vampyre, Being the True Pilgrimage of George Gordon in which the manuscripts of the memoirs were destroyed because Lord Byron was a vampire.